UNSOLVED MOSTLY SOLVED MYSTERY. 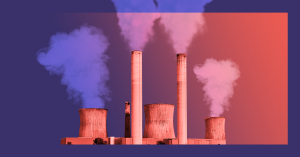 Last month, scientists published a report detailing a recent increase in emissions from chlorofluorocarbons (CFCs), an industrial gas banned since 2010. The New York Times launched an investigation to find the source of the emissions. On Sunday, they published their conclusion: Chinese factories are likely to blame. IF IT WALKS LIKE A DUCK… With the help of independent investigators , the Times conducted interviews and gathered documents to reach this conclusion, but it’s not exactly a surprise. The authors of the initial report noted that East Asia was likely the source of the new emissions; they even called out China by name. That’s not a shocker given Chinese factories’ financial incentive to keep using CFCs. The nation is the largest polyurethane foam market in the world, and CFCs are the cheapest and most effective chemical option for creating this foam, as one interviewee told The Times. HOLE-Y MOLEY. So, what’s the big deal about CFCs? Well, if you were around in the ’70s and ’80s, you probably remember hearing a lot about the hole in Earth’s ozone layer. Want to know why you don’t hear much about that anymore? Because of the Montreal Protocol, a global agreement designed to phase out that use of all those chemicals that were causing the hole — including CFCs. Thanks largely in part to that 1987 agreement, we’ve mostly healed the hole, and if the world stuck to the agreement, scientists predicted the ozone layer would be completely healed by about 2050. Anyone ignoring the ban is preventing the world from reaching that goal, perhaps delaying it by a decade, according to the original report. CFC CRACK DOWN. The Chinese Ministry of Ecology and Environment didn’t have a comment for The Times at the time of publishing, but the nation has taken a tougher stance on pollution in the past decade. It’s already started cracking down on operations illegally using CFCs, too. The Times‘ report could spur the government to take swifter action against Chinese factories working against not only the nation’s own interests, but those of the rest of the world.